A double-ended crayon, NudeStix Sculpting Pencil is available in two shades to help you cheat your way to cut-glass cheekbones. 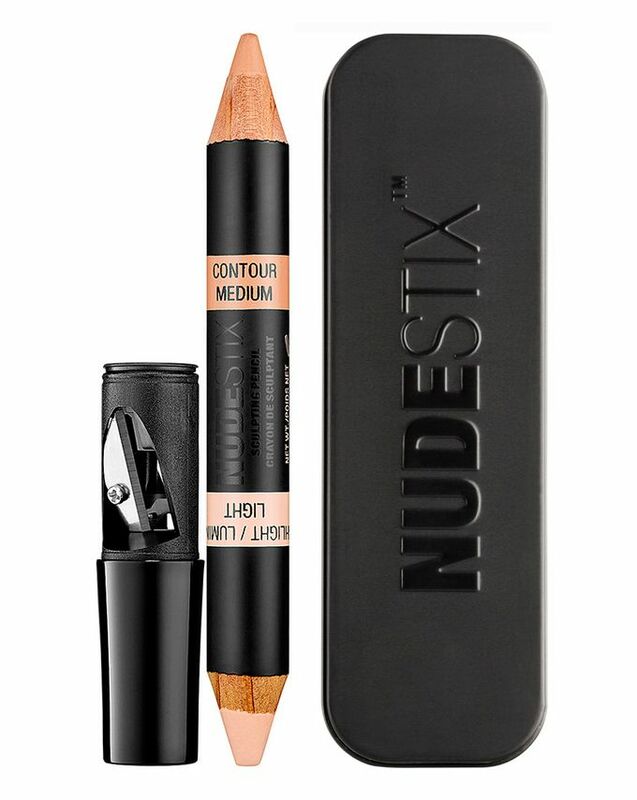 With a creamy, matte colour for enhancing shadows – easily blended beneath cheeks, along your jawline, temples and down either side of your nose – together with a paler shade for luminising, this multi-purpose pencil makes contouring seem effortless; just draw, blur and buff (using fingertips or make up brush) for quick and convenient enhancement. Choose between Light/Medium and Medium/Deep depending on your complexion, then apply the lighter shade in stripes over the ‘high’ points of your face – forehead, bridge of nose, upper cheekbones, bow of lip, chin, inner eye and to brighten dark circles – before using the darker shade to simply ‘colour in’ existing hollows (you can even use these pencils to exaggerate your collarbones and décolleté). Long-wearing and infinitely blendable, NudeStix Sculpting Pencils are perfect for those who like a little extra definition, but don’t have the time (or inclination) to spend hours in front of the mirror. These ingenious, chunky crayons provide velvety matte coverage to enhance your favourite features without any tell-tale ‘stripes’ or mishaps. Just ‘map’ out the high and low points of your face with the light and dark ends of the pencil, then blend (sculpting shades ‘downwards’ and highlighting ‘upwards’) to create a believable, your-face-but-better effect. You will instantly appear more chiselled, and nobody will know your model-worthy bone structure was not inherited… Eco-packaged in a collectible tin with a large mirror housed in the lid (each tin fits 3 – 4 NudeStix pencils), these are a godsend for low maintenance ladies who like to look polished, as well as for busy, working mums who want quick, fuss-free make up to make them look gorgeous in minutes. - To highlight, draw stripes over the high points of your face: forehead, bridge of nose, across upper cheek bones, bow of lip, chin, inner eye corner, and under eye circles. - To contour, draw stripes along, temples, under lower cheekbones, and along the entire jawline. 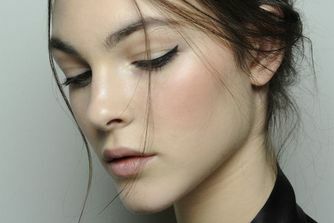 - Tip: to lengthen and/or slim the nose, contour left/right the length of the nose. - Use clean fingers to blend stripes without swiping off coverage. Smudge highlighting shades upwards and contour in downward strokes. I am very pale and so went for the medium stick. It is literally invisible on my skin - no contour effect at all. Will have to throw it away as it does nothing.